Pictured: Nakmor Drack, the oldest Krogan in Andromeda. The Krogan are a violent race of aliens. Born from the planet Tuchaka, they learned how to live under harsh conditions. These harsh conditions such as overabundance of vicious predators, scarce resources, and extreme environments. While many believed they would not survive, it was contrary. The Krogan thrived with those harsh conditions. However, their evolution and the enhancement of their technology led to their destruction. Because of their war-like tendencies, they devastated their homeland using nuclear war. This reduced them to a primitive and warring species. However, the Salarians raised them up from their primitiveness and granted them technology. This came with a price. The Krogan, many in number and also known for their virility at that time, were asked to fight. 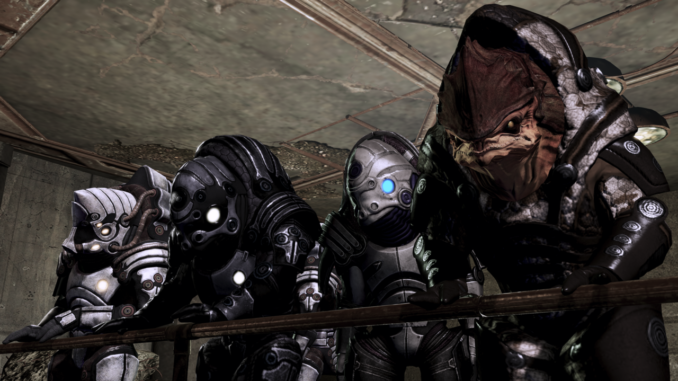 The Krogan were trained and the best were selected to fight against the Rachni. With sheer force, they won. However, they soon became a threat to the galaxy. This had the Turians use the Genophage against them to reduce them to lower numbers. 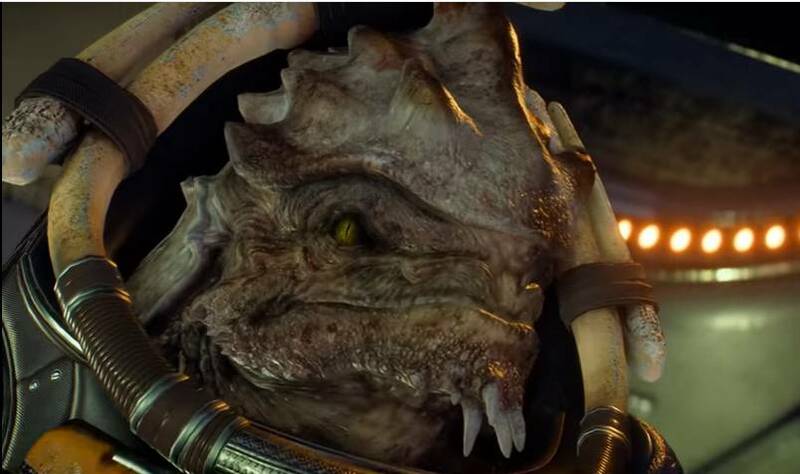 The Krogan are reptilian in feature. On their backs, they seem to have some sort of shell. Their fronts also have some sort of armor plating which covers their bodies and allows them to take in attacks. The Krogan have the appearance similar to that of a bull-frog. They have wide set eyes, allowing them a 240 degree peripheral vision. Because of this, it grants them better visuals and also awareness of their surroundings. Their irises come in a variety of colours such as red, blue, and green. Due to their harsh environments, they have large humps that appear similarly to shells. It stores nutrients and can also serve as a shield. The bigger the hump, the better. When attacked, their blood bleeds yellow or orange. The Krogan are a war-like species. They thrive in war and fight similarly to a tribe. Krogan believe in the concept of natural selection and reveal a strong sense of Darwinism. This is also seen how they handle their females. Because of the Genophage, their virility dropped. Females able to carry younglings to term are highly valued and are seen as a war prize. They have a similar belief to the Greeks – particularly the Spartans.